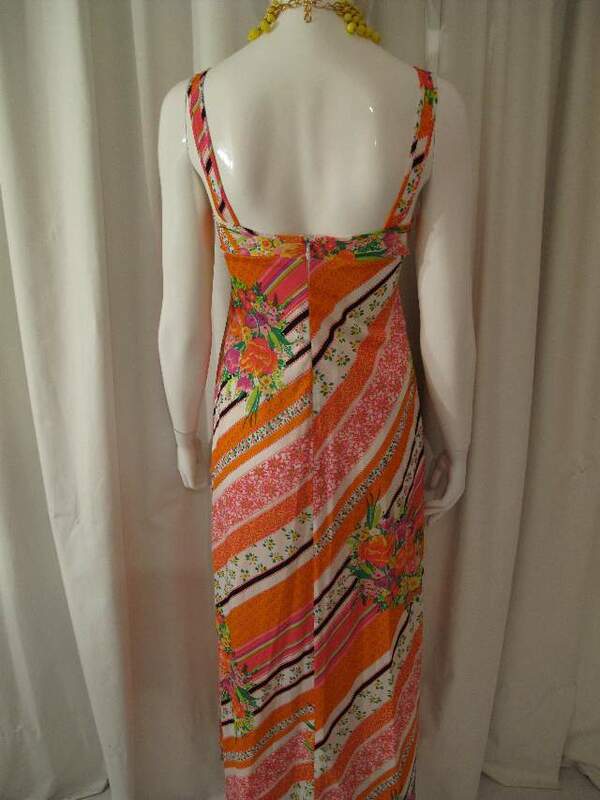 1960's Hi summer vintage sun dress. Vibrant stripy print on white ground with bold stripes in orange, shocking pink, emerald, lime, lemon, baby pink and black. 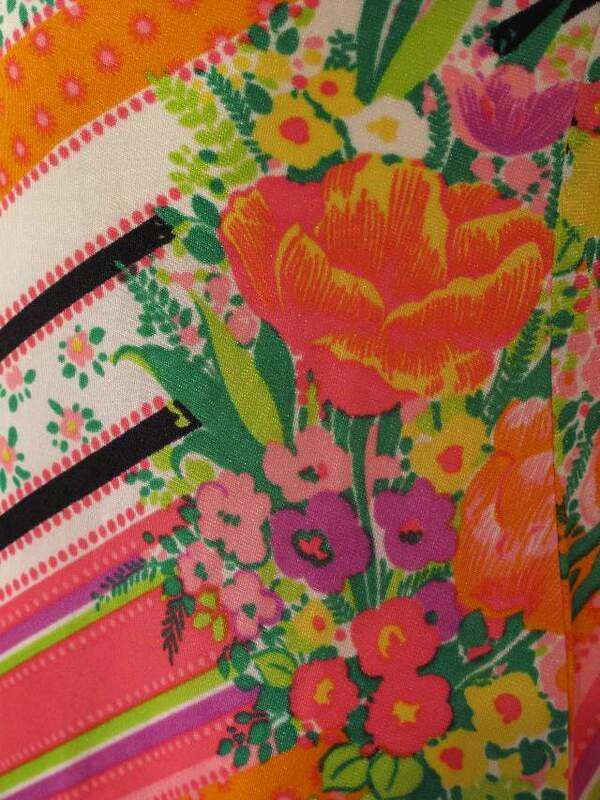 Stripes are made up of dots and daisies, overlaid with bouquets of tulips, roses and leaves. 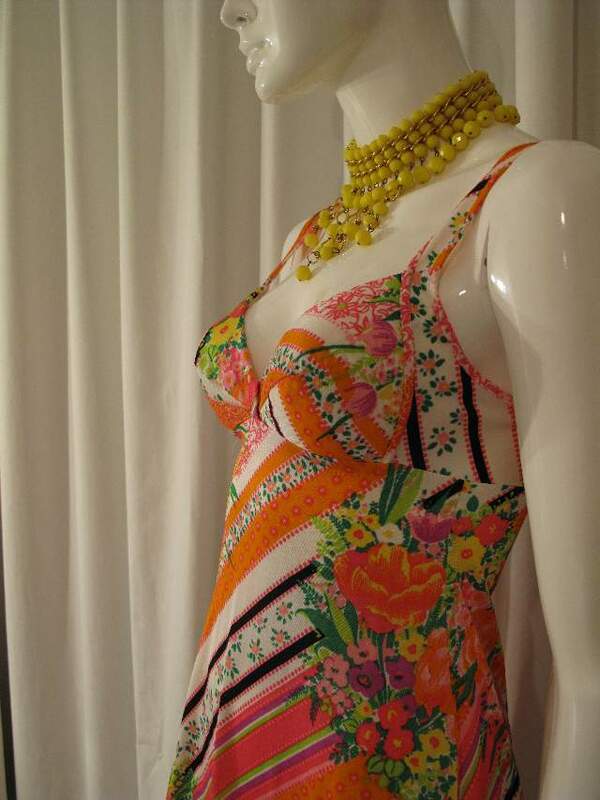 The dress has structural built in bra cups with internal support, 1 1/4 inch straps and a low back with invisible zip. The skirt is slighty flared and long length. 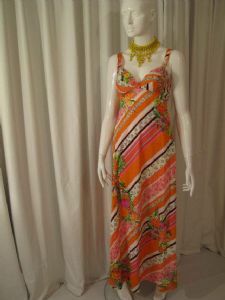 These dresses were very popular for holidays/resort wear and are incredibly useful for beach/pool scenarios. The structured cups make them very flattering to wear, and perfect summer party wear. Think strawberrry daquiris /Coppertan/ Santa Monica.